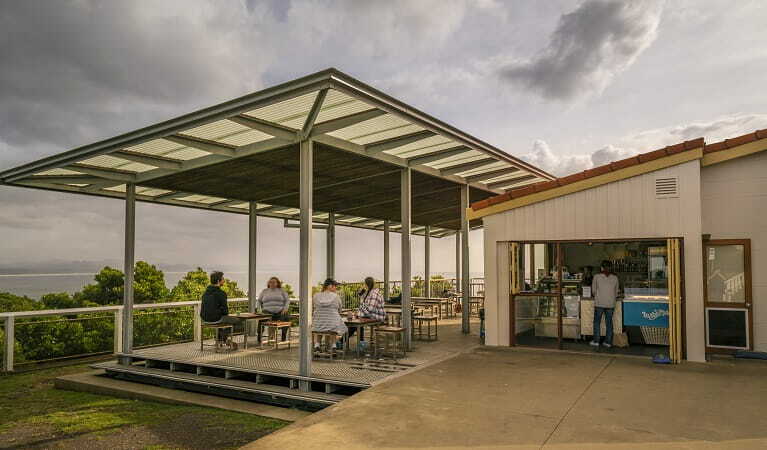 Cape Byron Lighthouse cafe is open 9am–5pm daily, including Christmas Day (limited menu). The cafe serves light refreshments only. All produce is locally sourced. 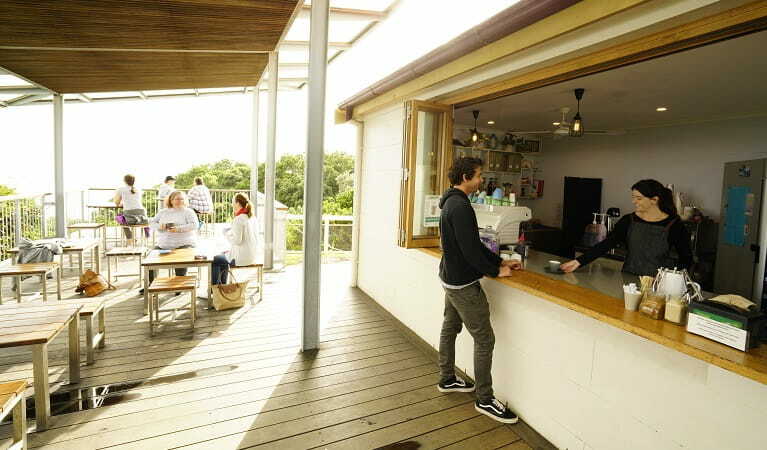 Cape Byron Lighthouse Cafe is located next to Cape Byron Information Centre. 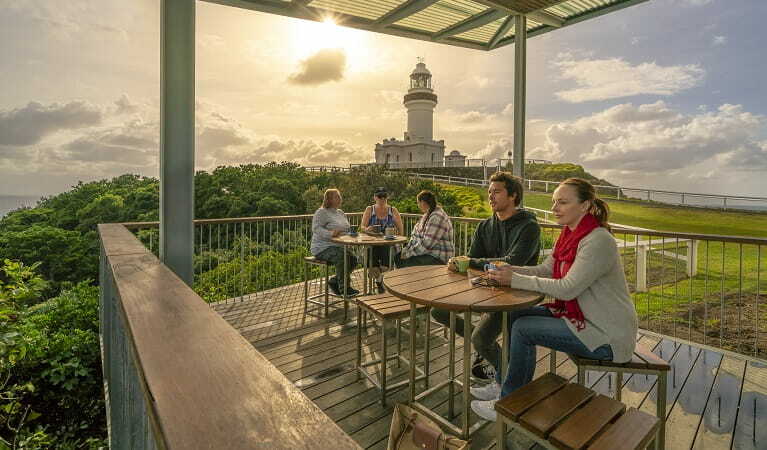 Cape Byron Lighthouse Cafe is a great place to enjoy a light meal or refreshment with a picturesque backdrop. Sitting on Australia's most easterly point, the cafe boasts panoramic views over Byron Bay, Julian Rocks and the majestic peak of Wollumbin (Mount Warning). 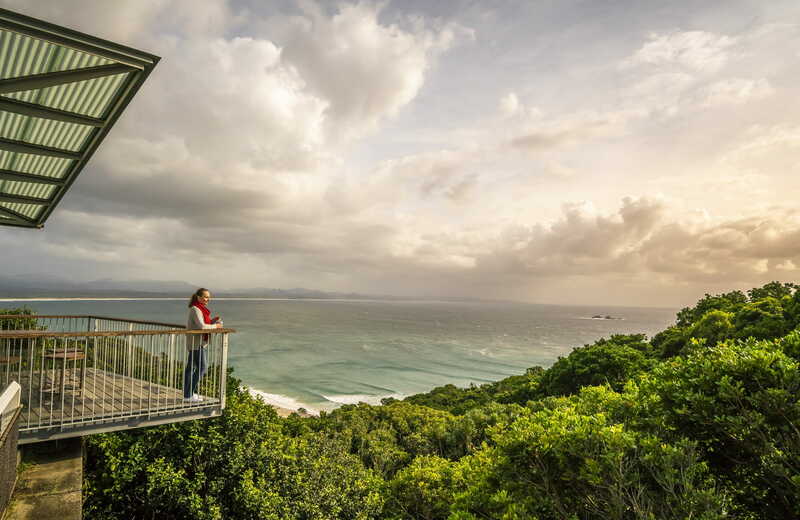 It's also a great vantage point to see the historic Cape Byron Lighthouse. Stop by the popular cafe to rest your legs after walking up the hill from Wategos Beach. 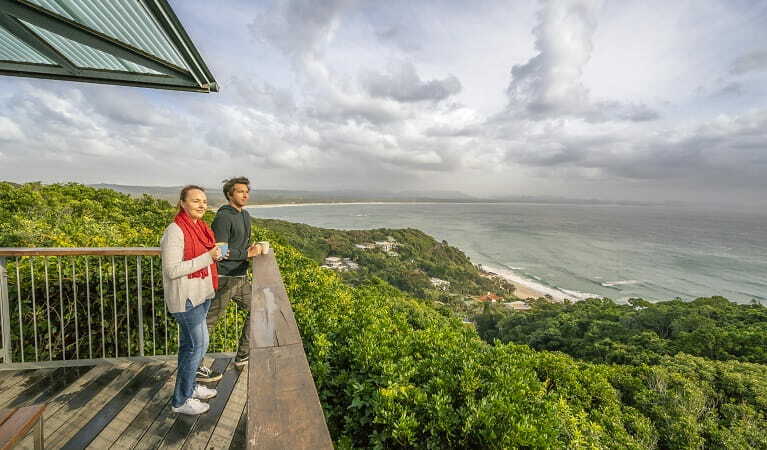 Grab a coffee with a view before hiking Cape Byron walking track. 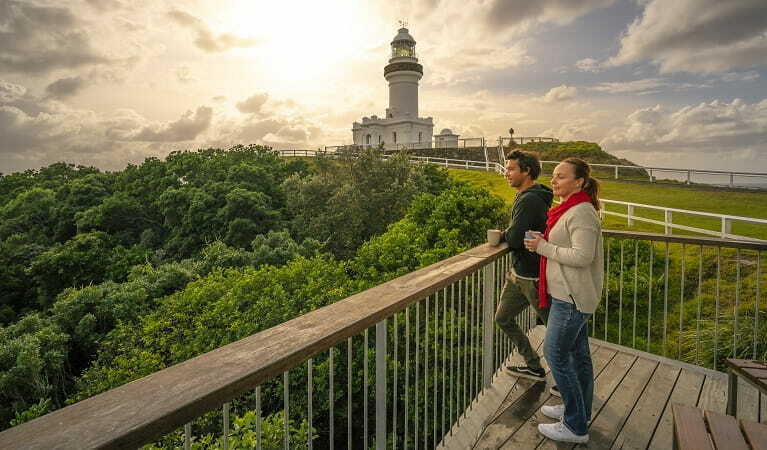 Or, enjoy morning tea after climbing Cape Byron Lighthouse. The undercover deck, provides unrivalled views over Byron Bay, making it a great spot to watch the sun set. Sightings of turtles, dolphins and humpback whales on their annual migration are common, so don’t forget to bring your binoculars. Cap off your visit with an overnight stay at the heritage-listed Assistant Lighthouse Keepers’ Cottage. If you’re up early enough, you’ll enjoy the spectacular sight of the sunrise over the ocean.